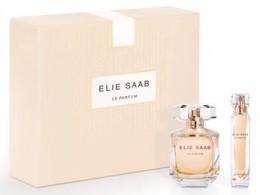 I love Elie Saab perfume! It's so long lasting and a perfect scent from day to evening. Been looking around for this set, found an offer in Boots using their £10 off which takes it to £45.00 but this trumps that deal. Use the code GIFT10 to get a further 10% off taking the price down to £42.25 from £46.95. This is a lovely perfume and this is a good price as it does not get discounted often. Paid £63 earlier in the year. I nearly bought it at £45 for a Xmas present but this is cheaper. If anyone can tell us where to get it cheaper let us know. Deal posting newbie! This is Manchester_Lucy first deal post. Help out by leaving a posting tip or just to show your appreciation for their contribution.